Comments: Jean Elizabeth Engelman (Nee: Engelman) | Cedar Rapids IA United States | 1921-1940 | Comments: 1 of 2, Jean Engelman, dau of William and Louise. William appears in the 1920 census, but Louise is widowed by the 1925 census - probably by the time of this photo. 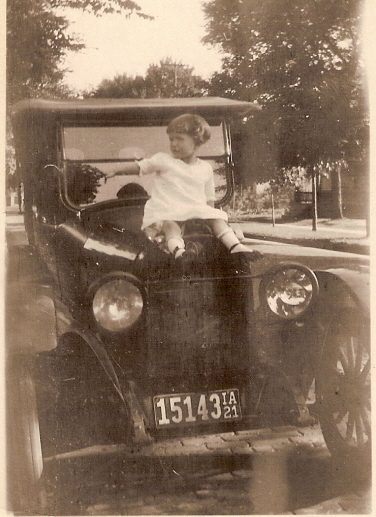 Jean born summer of 1919, plate on car is 1921. I don't know if this is friend or relative of the family, can't tie them in. Schultz collection, Muskegon MI.